Gary Barnett, lecturer in undergraduate music theory and music skills at UCR, kicks of the fall 2018 edition of Thursday Nights Live with an electric piano performance on Oct. 4. This free concert is open to the UCR community. Beer and wine will be available to purchase for those with a valid ID. 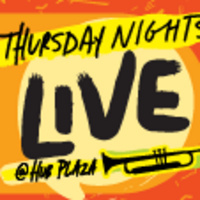 Thursday Nights Live will be Thursdays through Nov. 1 from 5:15–8 p.m. on the HUB Plaza. Learn more about Gary Barnett at youtube.com/garybarnett70. No cost to attend. Food, beer, and wine available for purchase.